↑ "The Bourne Identity". Rotten Tomatoes. Flixter. Retrieved March 23, 2010. ↑ "The Bourne Identity (2002)". Box Office Mojo. IMDb. Retrieved May 16, 2009. ↑ "The Bourne Supremacy (2004)". Rotten Tomatoes. Retrieved March 14, 2007. ↑ "The Bourne Ultimatum". The Hollywood Reporter. Retrieved May 16, 2009. (registration required (help)). ↑ Corliss, Richard (August 2, 2007). "The Bourne Ultimatum: A Macho Fantasy". Time. Retrieved May 16, 2009. ↑ Labrecque, Jeff (October 11, 2010). 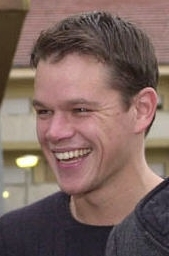 "No Matt Damon in 'Bourne Legacy': Report". Entertainment Weekly. Archived from the original on February 4, 2012. Retrieved April 1, 2011. ↑ Serpe, Gina (October 11, 2010). "WTF?! Matt Damon Out of The Bourne Legacy". E! Online. Retrieved April 1, 2011.